Civic initiatives regenerating urban areas emerged all over Europe as an answer to the crisis of traditional urban policies. Often they share a conflicting attitude towards the public sector or aim at extending their independence. In the following chapter, we focus on citizens’ demand for cooperation with public administrations. Firstly, we describe some opportunities for people engaged in social initiatives. Then we underline some benefits that can be achieved by the public administration, with specific regards to local development and urban regeneration. In the end, we consider the possibility that cooperation between civic initiatives and the public sector could be assumed as a common perspective at European scale. The notion of urban regeneration, in the Anglo-American context where it was adopted in the late eighties, is strictly connected to tackling environmental, cultural and social issues in urban policies. In this perspective, the city of the future is seen as a place where creativity and solidarity are linked to economic competitiveness. As observed by many authors, this rhetoric was adopted in the transition to the post-Fordist city, to justify a weak regulation of business-oriented projects and the reduction of the perimeter of public administration. As a result, social and spatial imbalance often has increased. Hence, it is not surprising that today the city is still conceived as a battleground. In a perspective of change, nonviolent expressions of conflict can be regarded as positive. Hamburg is a good example. Its historical centre has been transformed into a real business district, with the almost complete substitution of residential buildings and the absence of inhabitants. The Gängeviertel is a shred of the historical city that escaped the war’s destruction, as well as the following renewal made in the name of real estate development. A group of young activists occupied the old buildings in 2009. They started refurbishing and running the spaces to transform them into a place for living, working and providing services in a way different from the market and from the State. The Gängeviertel is not an isolated example. In many European cities, when the demand for social justice does not meet answers, conflicts arise. The economic crisis, the regulatory capture, the excesses of the neo-liberal paradigm are pushing a greater number of people to react. Due to the industrial crisis and the contraction of public investments, the number and dimensions of urban fringes, and decommissioned buildings are increasing day by day. The reuse of these empty spaces is deemed as a right and at the same time, as an opportunity to demonstrate that it is possible to run urban spaces, placing social and environmental issues at the heart of the initiatives. In Hamburg, activists claim the possibility of setting a new model of economy and coexistence. At the same time, in a more pragmatic and progressive way, they look for dialogue with public institutions. Their short-term aim is to produce a change in urban policies and persuade the municipality to give more credit to citizen-run initiatives. Similar requests are expressed in another initiative, in Rotterdam. As Sue Bell Yank describes the work of the Afrikaanderwijk Cooperative, “It is not overtly seeking to be a political adversary of the city government. Rather, the Wijk Co-op addresses gaps in governmental thinking about the wellbeing of the residents of the Afrikaanderwijk, and adheres to a wider-ranging set of values. These values primarily concern quantifying the capabilities of its residents rather than the tiresome logic of using economic indicators to measure social well-being.” It can be said, that citizen initiatives claim the possibility of retrieving the original meaning of urban regeneration, ensuring that real estate interests do not sacrifice environmental, cultural and social resources. Furthermore, there is something more specific: people running community initiatives consider themselves capable of pursuing social purposes at the same level as, or even better than institutions. In their opinion, the talents and knowledge, the entrepreneurial spirit, the organisational and practical capacities, and the sincere and deep engagement of citizen groups allow being more efficient in driving urban change, much better than through public policies conducted by bureaucratic structures. In some contexts, this claim leads to a radical critique of public institutions, seen as unreliable partners. “Step back and let us act, please”– this is the implicit request of some city makers. Seen from another angle, this vision implies that the cooperation between citizens, companies, and property owners can produce more positive results, even in unexpected ways, than codified public policies. Conflicting or self-standing civic initiatives are spreading all around Europe, as shown in the context of the Funding the Cooperative City research. We can speak about them in terms of pioneering initiatives that are capable of breaking barriers, finding new paths and producing relevant innovation. Yet, is there a real interest in establishing positive relationships between community initiatives and the public administration? Why should those initiatives not remain stand-alone and seek to become part of a formalised plan or public strategy? Firstly, assuming the point of view of citizens engaged in promoting social initiatives, we could make some considerations about their direct convenience in cooperating with the public sector. All people interviewed in our research enlightened obstacles with the existing regulation, especially when they decided to take care of public spaces, recovering and reusing – temporarily or not – abandoned buildings, or activating new economies with a mix of for-profit and non-profit activities. Sometimes, the existing regulation prevented them from doing those activities. Other times, problems arose from a lack of regulation. We can observe that, in order to let civic initiatives produce tangible social effects, some local authorities tolerate stretching the existing set of rules. Yet with time, a new set of rules has to be established. A good relationship with local and regional administrations can speed up the approval process of proper regulations, addressing the specific questions raised from the experiences: agreements and pacts between the public as owner and the initiatives, regarding the activities allowed, the criteria and the term of granting rights of use; authorisations and permits required in case of temporary or long-term uses; transitional arrangements, to drive gradually informal activities into the ordinary set of rules. Secondly, as confirmed by many people interviewed in the context of FCC, transforming ideas in deliverable projects, collecting adequate funds, making a plan and establishing the right organisational model may prove to be challenging. Furthermore, the social composition of civic initiatives could reflect the social and spatial imbalance. In a way, we can observe that usually, social innovators acting as leaders or pioneers are well-educated people, with a high level of entrepreneurial spirit. But, what if some of these qualities are missing, or are weaker? A good cooperation with the public sector can play a crucial role in removing obstacles, explicit or hidden, that undermine the capacities of citizen initiatives. Finally, at a more general level, the importance of relational capital has to be underlined. Relational capital is specifically based on interpersonal trust and habit of participation in networking. A good level of social cohesion and “civic culture” is helpful for citizen-led initiatives. Public administration can play a crucial role in creating the conditions to reinforce relational capital, shaping its structure and addressing public policies for making the city an enabling infrastructure. From the social innovators’ point of view, it is obviously easier to develop initiatives in a favourable environment, where they can easily get in touch with people sharing the same aims, skills, and attitudes and where some public spaces and organisations are dedicated to spreading ideas and to creating networks. What if we assume the public administrations’ point of view? Some local administrations appear to be keen to give their support to innovative community-led initiatives. In simple terms, they recognise the value of working for the community, with the community. Hence, local groups and associations are involved from the early stages and play an active role in designing urban regeneration policies and in the deliberation process, as well as in the implementation phase. During Funding the Cooperative City workshop series, different models of operational cooperation promoted by local administrations were examined. Some of them are well established for a long time, others have to be still considered as experimental. Some local administrations have recognised the public interest in active citizenship and capable communities: therefore they support the commitment of residents and other stakeholders to develop pioneering social initiatives. The start-up phase of civic initiatives is particularly fragile. Operational support can be crucial to encourage people to engage themselves and convert their ideas into concrete projects with adequate funding and management. Two examples can be mentioned, to enlighten the large variety of instruments disposed by cities. 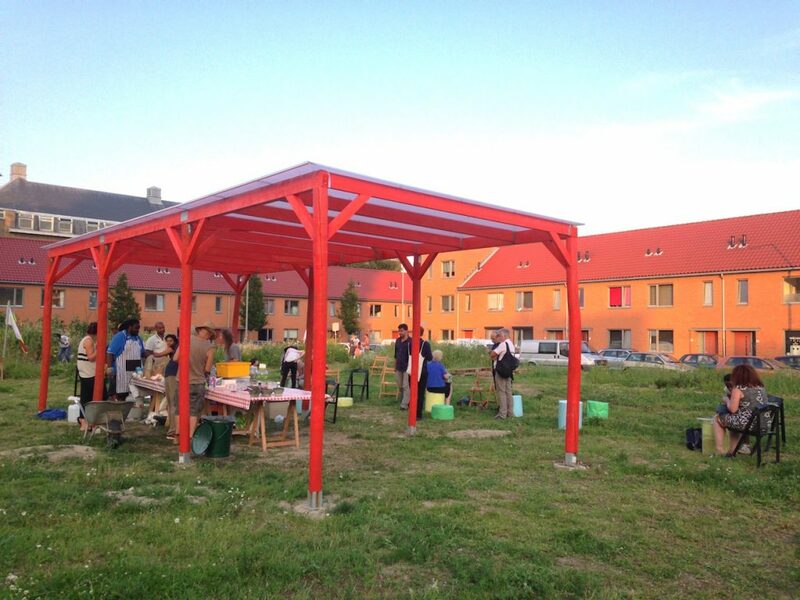 In 2015, the municipality of Ghent developed a crowdfunding platform where citizens can submit their ideas of new facilities in their neighbourhood or in the city, seeking finance for them, from a few hundred to several thousand euros. The city of Ghent co-finances non-profit projects with 75% of the costs, up to 5.000 €. The platform is not only technological support to help collect money, but it also provides assistance in project management and communication. Citizens can give their support in terms of skills and time, in order to help with accounting, creating a marketing plan, raising funds or executing the projects. Among the financed projects, Gastvrij Gent (Hospitable Ghent) collected more than 6.000 € to ensure welcoming to refugees; Leefstrasse Gent (Livable streets) raised 7.000 € to buy the furniture, seeds, and plants for the rehabilitation of small stretches of streets as liveable places. Decades earlier, the City of Vienna established a specific municipal agency, operating in the most problematic districts to promote and facilitate civic engagement in municipal projects and community initiatives. The Gebietsbetreuung acts like an information office: it gives guidance on how to start a new activity, it supports civic initiatives in public spaces and ensures a more direct relationship between citizens and all the municipality departments. 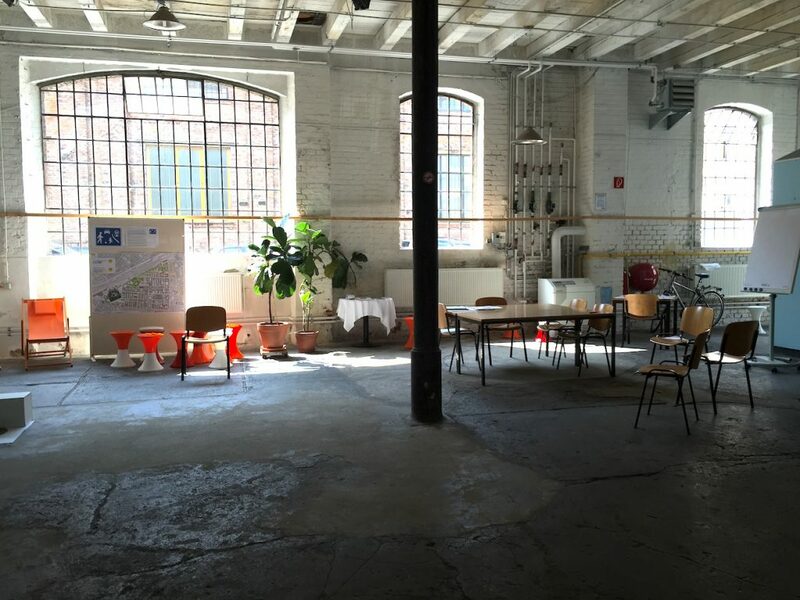 While in Turin and Lisbon, decentralised offices have been set up with a specific task, related to the implementation of an urban policy, in Vienna the Gb* operates in all relevant aspects for the liveability of the neighbourhoods in question, such as housing projects, the rehabilitation of public spaces, citizen participation, public debates, support to local enterprises, and organisation of temporary events. “Your idea has a place” – a notice published at the agency’s website invites citizens to submit proposals offering all the needed support. The economic and financial crisis of Southern European countries has been reflected, above all, in severe cuts to public policies. To turn scarcity into virtue, some local administrations have reshaped their policies, resisting the privatisation of their welfare sector, and focusing instead on creating a positive impact on their citizens’ lives through the creation and growth of social enterprises and co-operatives providing services for public welfare. Significant changes are concerning two relevant urban policy areas: the rehabilitation of abandoned assets and the improvement of deprived neighbourhoods. Firstly, civic engagement in the reusing of dismissed spaces could represent an opportunity to face the crisis in large urban areas where the industrial crisis has caused a huge decommissioning process, involving a large amount of areas, whose redevelopment has drained considerable public funds. The availability of a space, for free or at a cheap rent, is a pre-condition for the start-up of many activities whose main objective is to have a social impact. The public administration can give civic initiatives crucial support, both for operating in publicly owned spaces (by giving in concession its abandoned properties in return for the reduction of maintenance costs and a small or symbolic rent) or in the private market (by guaranteeing a loan or giving a small financial support to cover the start-up costs). In the case of the city of Turin for instance, where due to the industrial production crisis, some relevant problems also spread towards the city’s residential neighbourhoods, causing social conflicts, provoking protests against the lack of maintenance, and creating an increasing demand for security and surveillance. Since 1997, the public council promoted a strategy (Suburbs Special Program – Programma speciale periferie), based on local actions, carried on with the direct involvement of local associations and organisations. The public administration provided its support trough “Local development agencies,” established to act both in the physical and the social dimensions of sensible neighbourhoods. 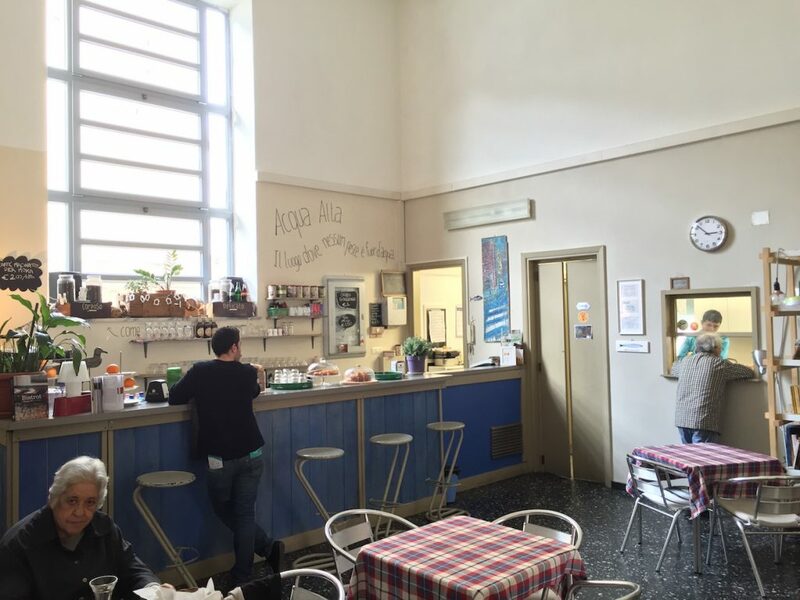 The refurbishment of abandoned buildings made spaces available for social activities, and the involvement of many individuals and organisations in social activities created an environment favourable for a stable network of activists. In the following chapters, we will look deeper into the successful example of Cascina Roccafranca as a node of the network of the Case del Quartiere (Neighbourhood Houses), set up by the administration to drive the regeneration of the city’s outskirts. Decommissioned assets can also be used as a lever for urban development, especially in regions with a weak socio-economic structure, as proven through the experience of the programme titled “Bollenti Spiriti” (Boiling Spirits) by the Regione Puglia, in Southern Italy. The regional administration launched a call in order to support the employment of younger people. The specific target of the proposal was the reuse of public abandoned spaces for creating so-called “urban laboratories,” to be granted to young local activists. 20% of the regional financing was dedicated to supporting the start-up phase. The public call “Laboratori urbani” launched in 2007, was financed with 44 million euros by Regione Puglia and with an additional 10 million euros by local administrations. Each proposal could be funded up to 700.000 euros. Eight years after the call was launched, some 150 buildings have been restored, and local companies and associations actively manage two-thirds of them. The social value of urban-labs goes beyond the strict perimeter of the initial call: using the words of the well-known Italian architect Giancarlo De Carlo, they can be described as condensers capable of extracting energy, socially speaking, and at the same time as nodes of the urban structure, capable of spreading regeneration effects in their surroundings. In traditional urban policies, funds are focussed on the renovation of buildings and infrastructures. A weaker attention is dedicated to social aspects and more specifically, to the direct engagement of citizens, considering them as the main player of the local development. The Lisbon Municipality abandoned this attitude and conceived its program of intervention for deprived neighbourhoods in a very different way. Being aware that austerity policies prevent major investments, the municipality gave priority to small projects with a specific attention to citizen involvement. In 2011, the municipality launched the BIP-ZIP program (Bairros e Zonas de Intervenção Prioritária de Lisboa), targeting zones with social, economic, urban and environmental deficits, which were expressions of social inequality in the city. Each year from then on, a large number of project proposals are submitted through an open call and the municipality grants selected initiatives with a small fund and operational support. 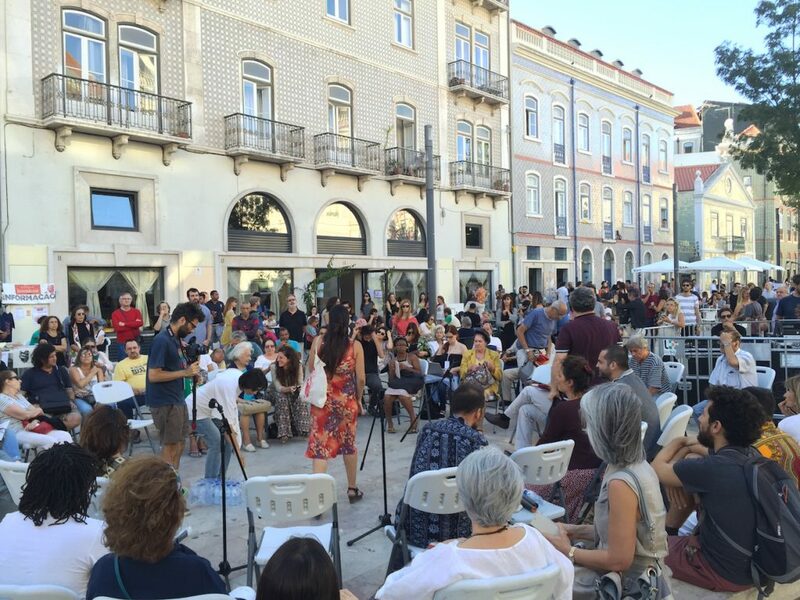 In 2015, the experience of the BIP/ZIP matured in a Community-Led Local Development Network, as identified by the European Union’s Cohesion Policy 2014-2020, which grants the network access to part of the Structural Funds of the City of Lisbon. The CLLD foresees the management of the funding to be shared between the public administration, private and civic partners, with none of them having the majority of shares and votes. 3) a specific attention is dedicated to local teams who relate to citizens and the councils directly engaged in the interventions supported by the programme. Similar to Turin, these structures play the role of connectors with all the vertical levels (district, municipality, region) and the horizontal sectors (municipal departments, agencies, and other public entities) of the public administration. Working with people implies being closer to them: this is another lesson to be kept in mind. Civic engagement as a means to strengthen institutions: a common perspective to be assumed at the European scale? Is it possible to generalise an urban policy model based on the direct involvement of active citizenship? Will the proliferation of citizen-run initiatives in many cities, even in peripheral European countries, be a prelude to the affirmation of a common model for the whole of Europe? As the Funding the Cooperative City workshops and interviews made clear, the contrasts and specificities of different countries do not inhibit the emergence of a shared vision. Recent changes in EU policies and programs contribute to reinforcing a positive attitude towards cooperation between civic initiatives and public policies, with a wider engagement of social innovators. We showed evident benefits of this open attitude. Nevertheless, we must bear in mind some controversial points regarding a progressive shift from public to private in welfare policies and more specifically, in urban policies. First of all, as underlined by the Marxist critique, civil society can be seen “as a flanking, compensatory mechanism for the inadequacies of the market mechanism.” Therefore, the positive attitude towards civic engagement can be seen as a means to a further reduction of public policies, fostering the substitution of the public administration by the society and the market in providing services. Further, the overlapping between collaborative economy (enabling citizens to offer services “out of the market”) and a well-regulated labour market also has to be considered for its potentially dangerous effects on welfare achievements, extending and consolidating a secondary labour market, underpaid and under-protected. In this chapter, we showed examples of a new combined model of governance, where active citizens share responsibilities with local administrations and act as their partners. As shown by the programs BIP/ZIP and Bollenti Spiriti, the scarcity of financial resources can be seen as a strategic opportunity to reshape urban policies, focussing the attention (and the funding) on the connection between people, places and programmes. The most relevant achievement of the experiences described in this chapter is the production of relational goods and the reinforcement of the participants’ social capital. In more simple terms, we can affirm that the relationship between community-run initiatives and the public administration produced some basic “social antibodies” essential for urban regeneration. Some special places (such as Cascina Roccafranca) can be considered as social antibodies factories. Hence they can play a pivotal role in neighbourhood and urban regeneration, and that is the most relevant reason why an urban strategy can be based on their identification, involvement and empowerment. From this perspective, the cooperative attitude can be seen as a means to strengthen both the public institution, recovering its fundamental role, and the civil society, capitalising on its creative force. The experimental cases analysed in the context of FCC make us think that the spread of this attitude is not wishful thinking, but a choice to be made. Barca F. (2009), An Agenda for a Reformed Cohesion Policy, A place-based approach to meeting European Union challenges and expectations. Independent Report prepared at the request of Danuta Hübner, Commissioner for Regional Policy. De Carlo G. (1975), “Rimini/Un piano tra presente e futuro”, in Parametro, n. 39. Healey, P. (2006) Transforming Governance: Challenges of Institutional Adaptation and a New Politics of Space, European Planning Studies Vol. 14, No. 3, April 2006, p. 302. Jessop, B. (2002) Liberalism, neoliberalism and urban governance: a state-theoretical perspective, Antipode, 34(2), pp. 452–472, in Gerometta, J., Haussermann H, and Longo G., Social Innovation and Civil Society in Urban Governance: Strategies for an Inclusive City, Urban Studies, Vol. 42, No. 11, 2007–2021, October 2005. Bruni, L. (2013) Relational goods, a new tool for an old issue, ECOS, vol. 3, n. 2, 2013, .p. 174-178. Community, Governance / Shared administration , article, civic space, commons, community, cooperative, economy, English, Funding the Cooperative City, governance, municipality, neighbourhood, network, participation, policy, work.